Peter handles complex litigations, particularly real estate, title, and commercial litigations, while also cultivating a thriving residential real property and cooperative transactional practice. His practice concentrations include consumer rights, Telephone Consumer Protection Act (“TCPA”) litigation, professional malpractice, financial services litigation, personal injury, estate litigation, home equity fraud litigation, employment law, and securities arbitration. 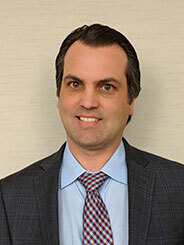 As a litigator, Peter has achieved successful results in the Westchester, New York, Bronx, Kings, Queens, Putnam, Orange, Rockland, Erie and Dutchess County Supreme Courts, as well as the Westchester and Nassau County Surrogate’s Courts, the Appellate Divisions of the First and Second Judicial Departments, the United States District Courts for the Southern, Eastern and Western Districts of New York, and the United States Court of Appeals for the Second Circuit. His zealous advocacy will always include the pursuit of a reasonable resolution through negotiation and/or mediation. While at law school, Peter served as a student attorney in the John Jay Legal Services Securities Arbitration Clinic pursuing securities fraud claims, and was also a member of the editorial board of the International Law Review. Peter grew up near New Haven, Connecticut and graduated from Boston University in 1999 with a B.A. in International Relations. He is a member of the New York State and Westchester County Bar Associations and he is admitted to practice law in New York and Connecticut, as well as in the United States District Courts for the Southern, Eastern and Western Districts of New York, and the Second Circuit Court of Appeals.